Lately I’ve really been enjoying the opportunity to weave on a Warp Weighted Loom. Following various sets of instructions that I found both on the web and in books the husband and I were able to construct a functional loom for between $30-35. It also can act as a warping board, a card weaving loom, and if warped up slightly differently a tapestry of upright loom. I find that I am enjoying the versatility of the loom and the way it leans against the wall, out of the way of day to day activities. 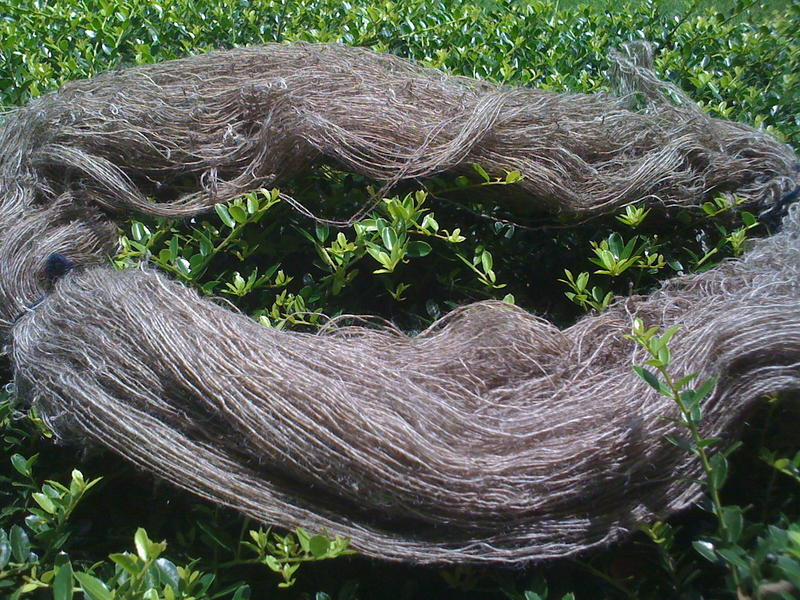 WWLoom Yahoo group…a group of weavers of all levels of experience who share an interest in this type of loom. The files and photos are especially helpful. Huge listing of Links and resources! These are pictures of a yurt band that was attributed to weavers in Afghanistan. 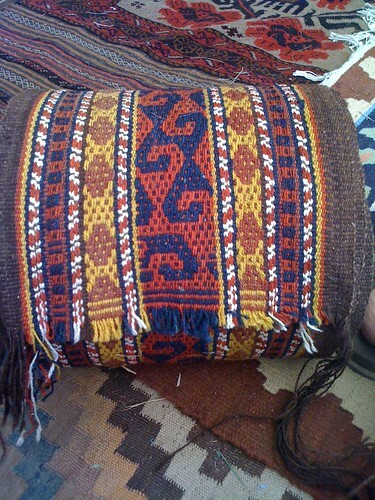 Unlike the yurt band we have that is attributed to South Khygryz weavers this band included cotton in it’s construction. The white yarn is cotton. It does create a very vibrant contrast. 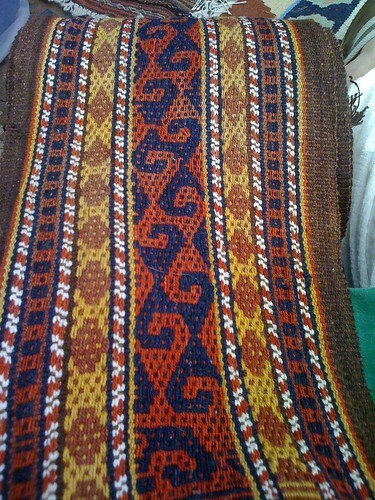 I wonder what prompted the weaver or weavers to choose a nontraditional material on an item that is so labor intensive? I would love to find more bands to study!